This might upset some of you. Maybe that goes without saying. 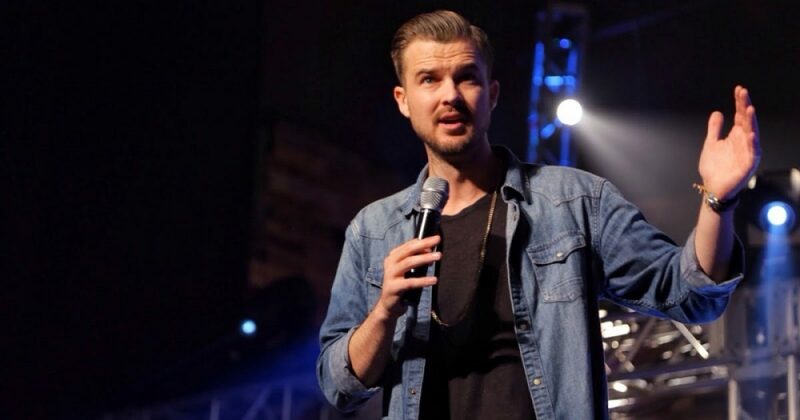 I read in an article on TheBlaze about Rich Wilkerson, a reality TV star and “celebrity pastor” of a big, hip church in Miami that looks and sounds like a rock concert venue. Pastor Rich believes that his congregants “aren’t looking for religion” because they “don’t want to be told what to do,” but they are looking for a “relationship with a higher power.” Pastor Rich explains that the Gospel isn’t a message of behavior modification. Modifying behavior is totally uncool, yo. Now, my commentary today isn’t only about him. I’m just using him as a jumping off point. He is, after all, just one of the countless Christian “pastors” who preach this comfortable, trendy, undemanding brand of Christianity. It’s a type very popular with people who want the vague feeling of “spirituality” but none of the challenges and sacrifices that go with it. I said this might upset you because I go after a few modern Christian sacred cows here. Particularly, I think the phrase “personal relationship with Jesus” is potentially problematic (though not inaccurate, if considered the right way) because it contributes to the propagation of this heretical brand of Christianity. I explain why. But more importantly, as Christians, our actions DO matter. Faith is not just something you think or feel. Faith is not just the mere acknowledgment of Jesus. Satan himself acknowledges Jesus, yet he’s still in hell. Clearly, there is more to this “faith” thing. As Christians, our faith must be active, uncomfortable, sacrificial, even painful. If it is not, then it is not faith. Yes, faith is all we need, but we also need to come to a better understanding of what faith IS, exactly.